I love that the holidays represent bright, shiny and sparkly! This card is a great representation of that. 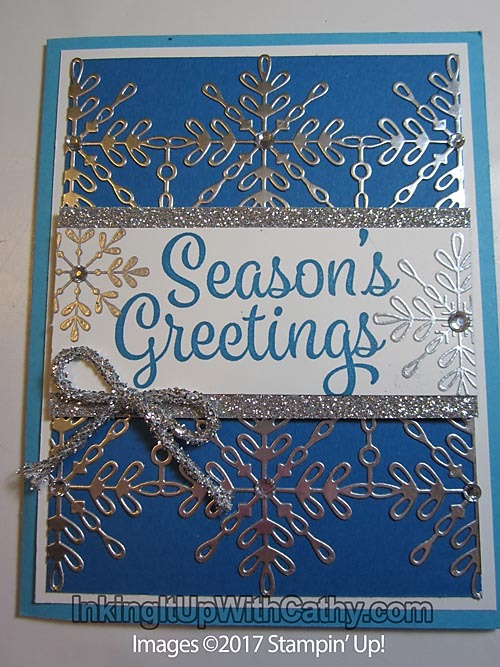 When creating cards with these intricate dies, make sure to put your adhesive sheets on the back prior to running through the Big Shot. They are definitely easier to attach to your projects this way. Even if not all of the little pieces come out right away with your die brush, it certainly beats using a fine tip glue pen and trying not to have any glue show on the front of your project! 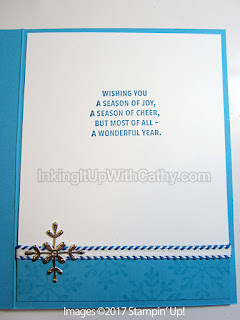 After stamping the "Seasons Greetings" on the Whisper White strip, I embossed a couple of snowflakes using silver embossing powder. 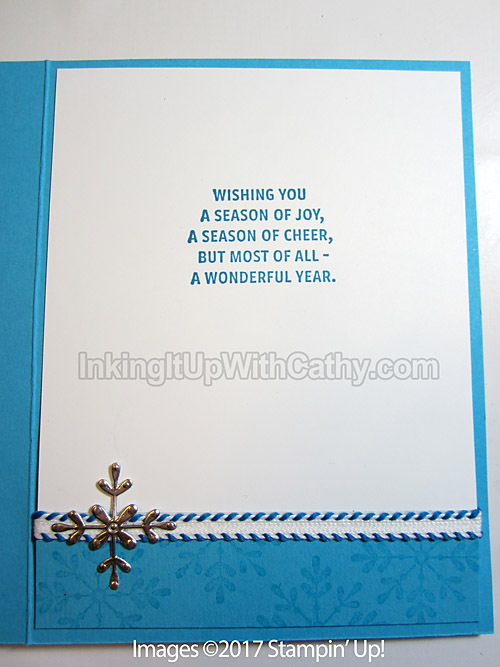 On the inside of the card, I added a sentiment and used Versamark ink on a Tempting Turquoise piece to place on the bottom. 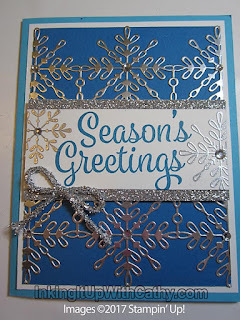 A Silver foil star and some Pacific Point ribbon finished it off.